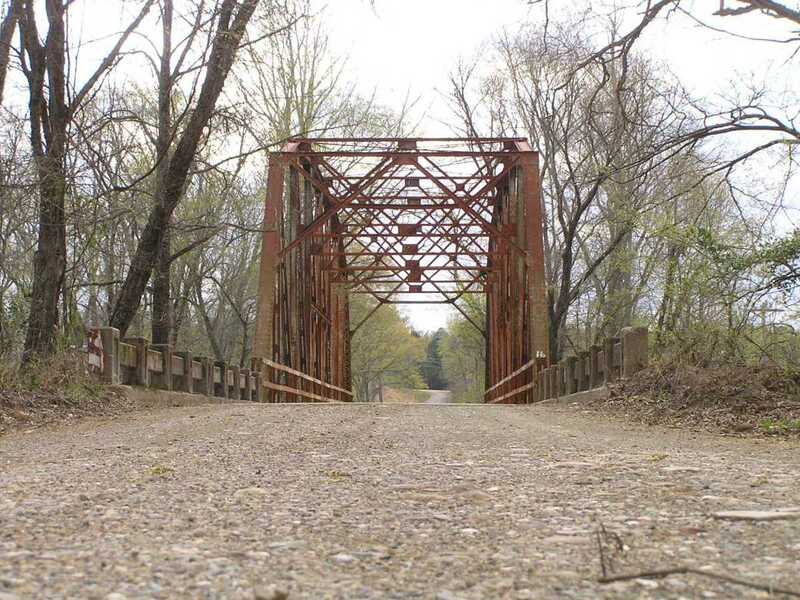 Located near Smithville, records give a date of 1940 for this bridge, though the design and construction of the truss span suggests the mid 1920's. 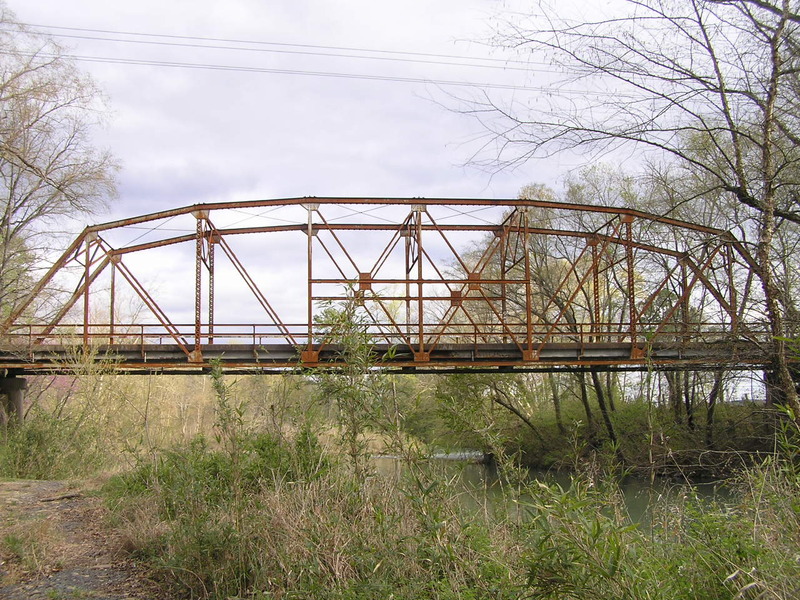 At 146 feet long, it is a virtual clone of a span over Rock Creek in Creek County. Above, a view through the structure. The truss is a riveted Parker through truss of 8 panels. It is a state standard design. 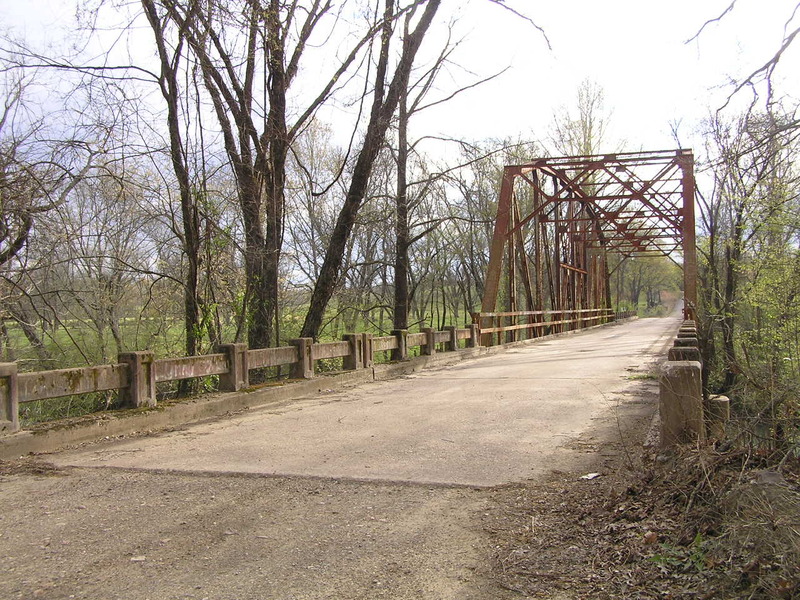 The through span is flanked at both ends by two-span steel stringer approaches with concrete decks and single-rail concrete "fence" style railings. Below, another of the truss. All members are of built-up construction, a practice which fell out of favor in the early 1930's. Above, deck view showing details of the truss construction. The horizontal strut in the middle two panels allows the three verticals it connects to be built much smaller in cross section. 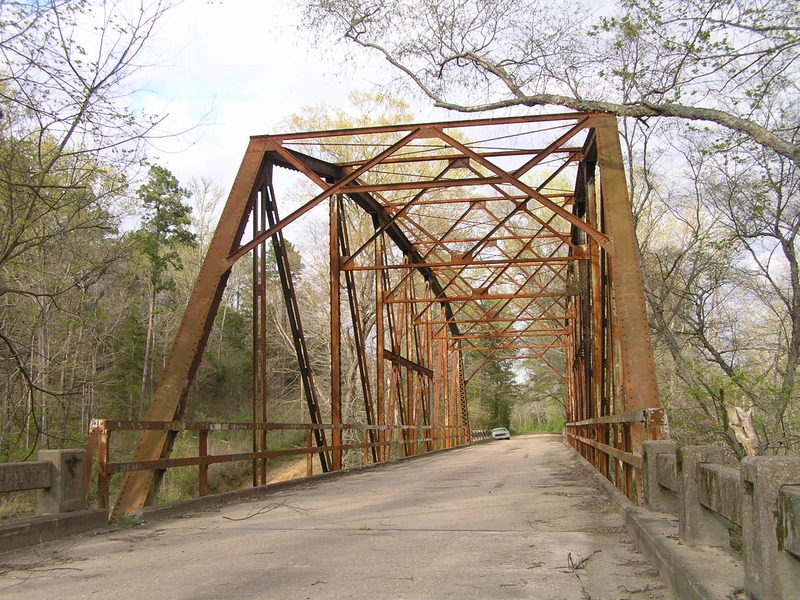 Below, an oblique side view of the span. 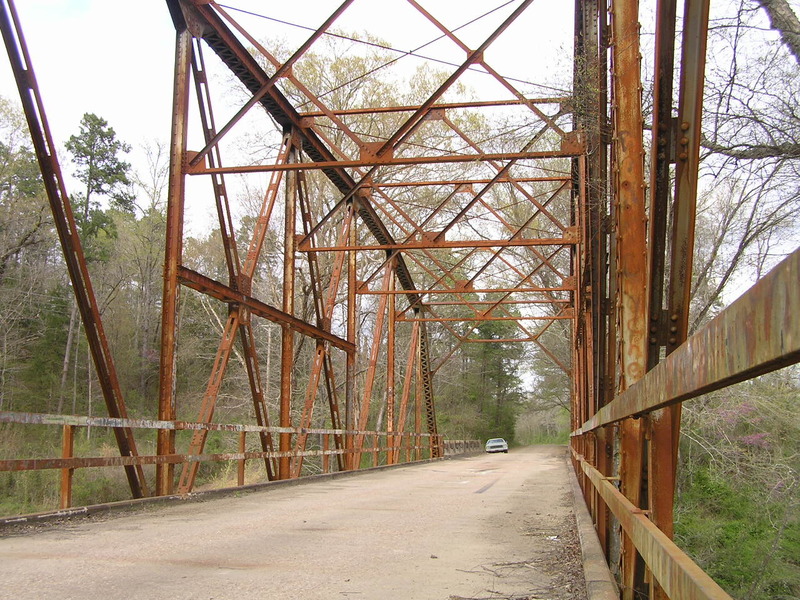 Above, the characteristic shape of the Parker truss is easily seen in this side view. Below, a final view through the bridge. 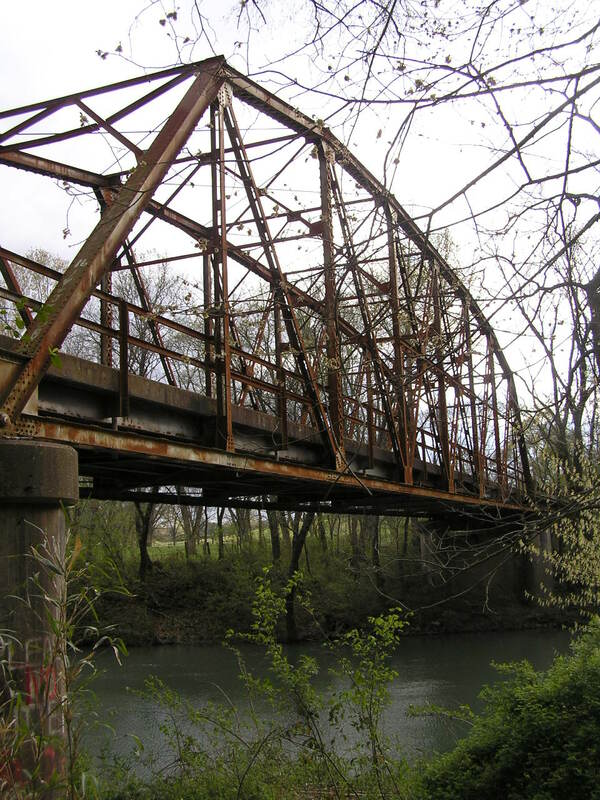 Was this span moved here in 1940? We may never know. At any rate, it is in fine condition and its location and condition make it very scenic.